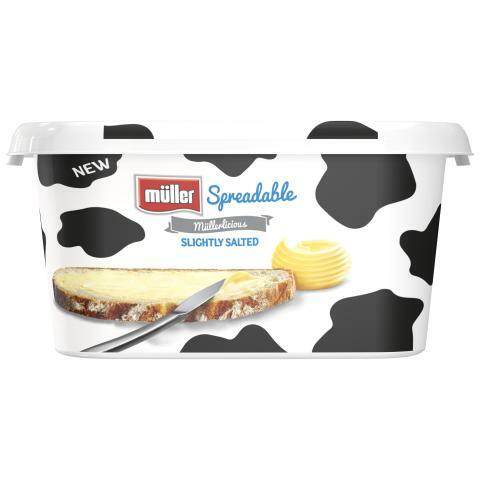 Müller, the UK’s seventh most picked FMCG brand, is set to boost the resurgent butter category with the launch of Müller Spreadable, its first ever branded spreadable in the UK. 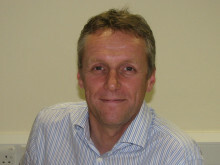 Meeting its promise to introduce great tasting products in parts of the dairy aisle where the Müller brand doesn’t currently have a presence, the Official Spreadable of British Athletics is set to disrupt the current spreadable sector. A major multimedia campaign including a new TV advert starring Nicole Scherzinger will go live in June 2018 underlining the significance of the launch. In addition, as part of Müller’s status as Official Partner of British Athletics, the product will be supported by the first British Paralympian to win golds in two different sports since 1984, Kadeena Cox MBE, who is a Müller brand ambassador. Launching exclusively in Tesco on 21 May 2018, consumers will be able to purchase six SKUs. 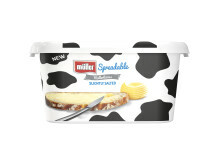 The new Müller Spreadable will be available in slightly salted and unsalted in 400g (RRP £3.00) and 250g (RRP £2.00). 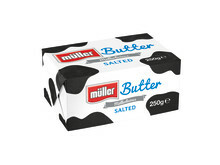 In addition, consumers in Tesco will also be able to purchase salted and unsalted Müller Butter (block) in 250g (RRP £2.00). All SKUs will be available throughout the trade later in 2018. “The Müller brand exists to bring everyday moments of pleasure, and with this launch, we’re bringing the delicious creamy Müller taste to the category for the first time. 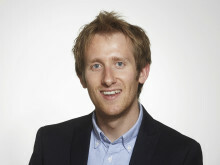 Müller is the seventh biggest food and drink brand in Britain and it is also the only dairy brand in Kantar Wordpanel’s top ten most chosen FMCG brands. The brand that appeals to families, with 67% of families already buying Müller branded yogurt.